Stacey from Stacey's Creative Corner with you today sharing an adorable card that I made using some fun Jaded Blossom stamps and dies! I used the Card Mat Dies to cut out some fun patterned paper from Doodlebug, wrapped some hemp cord around the top and popped it up onto my card base with some foam tape. I used the Card Mat Dies to also cut out a piece of black cardstock, then trimmed it down to add a stripe onto the front of my card. 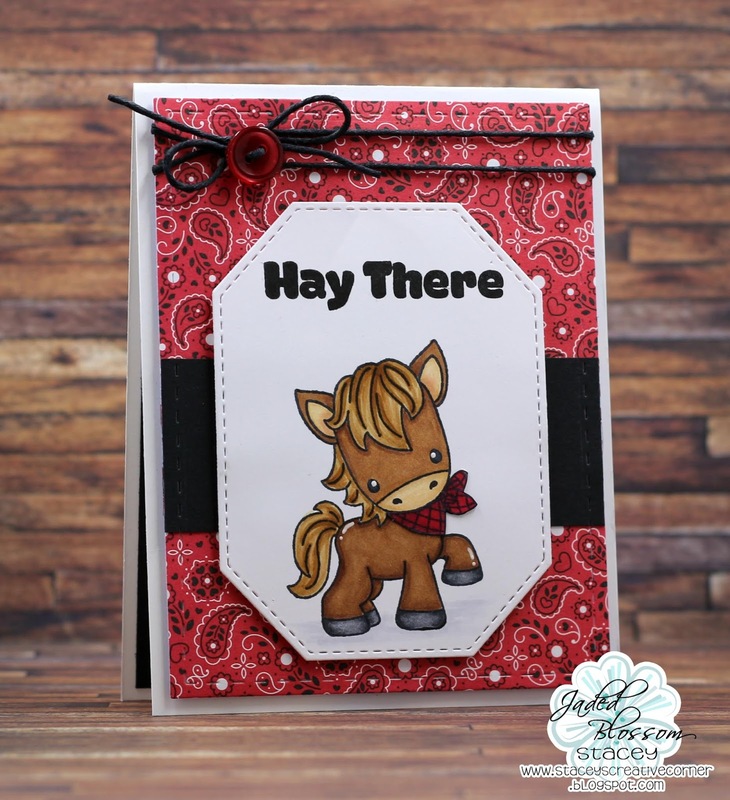 I stamped that sweet little horse from the Giddy Up stamp set onto some white cardstock and colored him with some Copic markers. I cut him out using the Octagon Dies and stamped my greeting towards the top. I popped up my octagon layer with more foam tape and finished off the card with a button and bow. Adorable! !